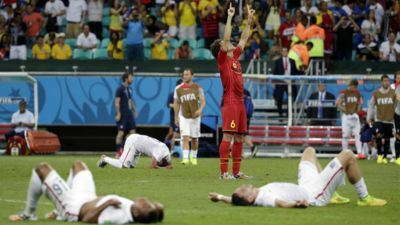 US Soccer may have lost, albeit heroically, to Belgium (a country about the size of Maryland) in the Fifa World Cup 2014 knockout stages. But crying is un-American. We have the explosive bombast of July 4th to distract ourselves with this Friday. Better yet, we can watch France lose to Germany. So dab those (non-existent) tears with the flag. Fire up that meat-annihilating grill. And grab a bottle of American wine. In 1982, Bob Lindquist went indie, after having helped Zaca Mesa and Jim Clendenen found the Rhône Ranger revolution. While the rest of California was fixated on Chardonnay and Cabernet, Bob started sourcing Syrah from Santa Barbara. Thirty years on Bob still makes this wine from there (with 25% from Edna Valley). Appearance: Clear but densely intense purple color is framed by a narrow, clear ruby edge. Thick veil-like legs cover the glass. 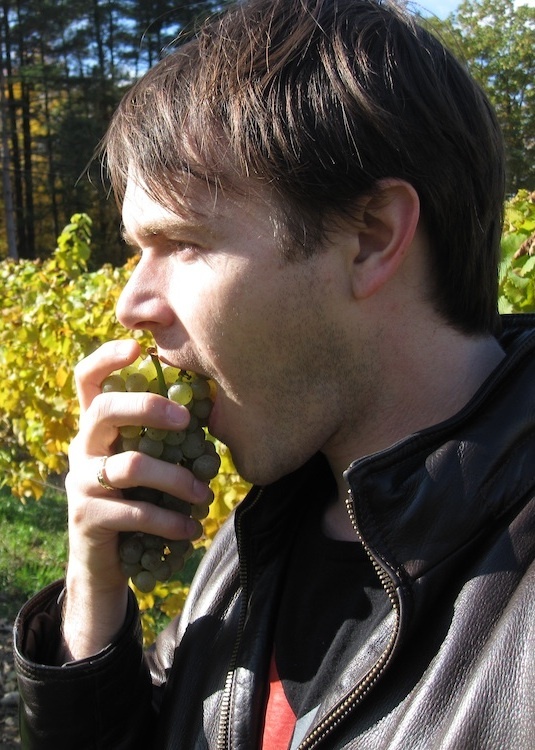 Palate: It is dry, with mild acids and tannins, a nice lump of alcoholic heat that makes for a somehow balanced, plump medium body. The texture seems light yet velvety. Flavors: Again, dominate flavors are ripe and dried Boysenberry (that most American of crossings). The smoke and oak step back to let this happen. Yet something savory and soft vies for attention, like white wood, or, dare I say it white meat akin to roasted pork. The length is medium plus. Conclusions: Bob’s 2011 Syrah is Very Good (4 of 5). 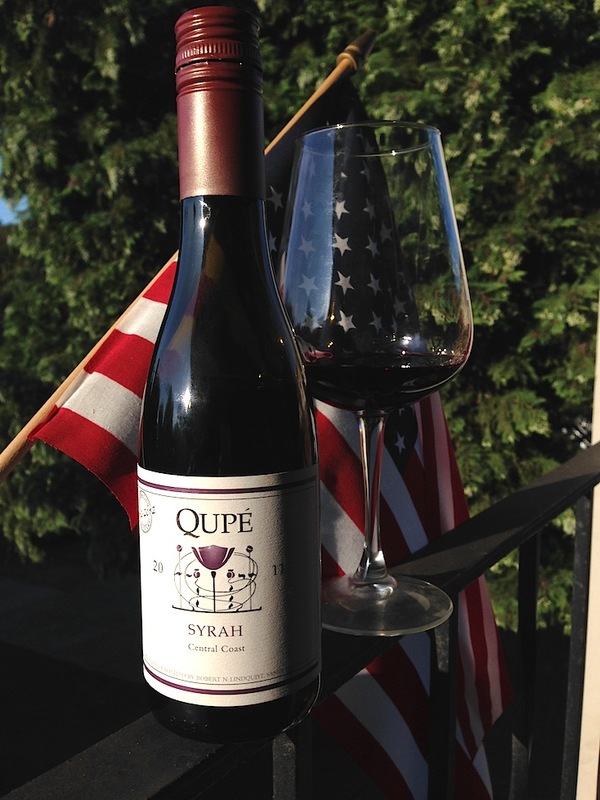 It nods to Southern France with Syrah, but is firmly American in its ripe, spiced, pleasant, yet funky style. It will meld beautifully with hot dogs, burgers, barbeque, or just own you alone. Drink it now, for he won’t be at the helm forever. This entry was posted in Uncategorized and tagged Belgium, Bob Lindquist, Boysenberry, Fifa, Jim Clendenen, Qupé, Rhône Ranger, Soccer, US Soccer, World Cup. Bookmark the permalink.